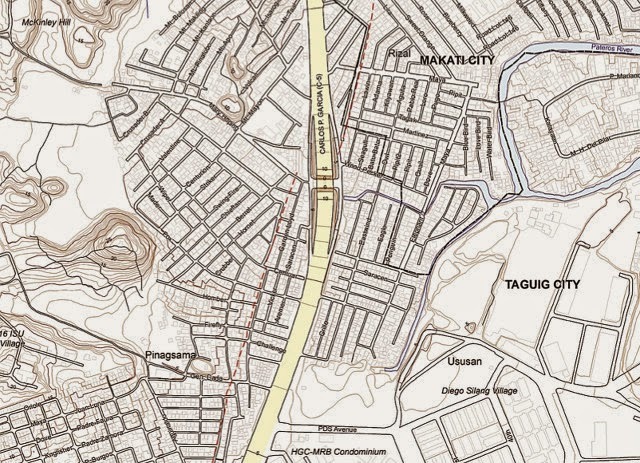 MANILA, Philippines - The Philippine Institute of Volcanology and Seismology (PHIVOLCS) has shared online today the Valley Fault System (VFS) Atlas, a handbook of large scale maps that illustrates the areas that are near an earthquake fault. A high resolution copy of the atlas is available for free download upon registration from the PHIVOLCS website. The VFS was unveiled on May 18, 2015 at the institute’s auditorium, Quezon City to spread awareness on West Valley Fault which could possibly generate a magnitude 7.2 earthquake. View: Registration portal for downloading the Valley Fault System in Greater Metro Manila Area Atlas here. It was a result of PHIVOLCS’ review of the VFS as one of the component activities of the AusAid-funded GMMA Ready Project under the United Nations Development Programme (UNDP) and implemented by member agencies of the National Disaster Risk Reduction and Management Council (NDRRMC) back in 2012. The VFS is an active fault system in the Greater Metro Manila Area (GMMA) with two fault traces: the 10 km long East Valley Fault in Rizal and the 100 km long West Valley Fault runs through different cities and towns of Bulacan, Rizal, Metro Manila, Cavite and Laguna. The West Valley Fault can generate a large earthquake which poses threat to people’s lives, buildings and infrastructures, and livelihood. "We don't usually use the word ripe because the fact would indicate that the West Valley Fault can move in our lifetime simply because the last earthquake that happened from this fault, most likely the 1658 earthquake 357 years ago, and the interval of movement of the fault is roughly between 400-600 years. So that's very close," PHIVOLCS Director Renato Solidum said. In Metro Manila, the expected death toll is around 33,500 with at least 100,000 injured, according to a study. Some 40% of residential buildings are likely to be heavily or partially damaged. Total cost of damage could reach P2.3 trillion. Solidum said that the location of active faults is a major basis for people’s preparedness for earthquakes, appropriate land use, contingency planning for disaster response, and design of houses, buildings and infrastructures. Future development needs to consider these faults so people won’t be at risk. Bam: Is Metro Manila Ready for a Massive Quake? Senator Bam Aquino has filed a resolution seeking to assess the capacity and preparedness of different stakeholders in case a massive earthquake hits the country. Sen. Bam's move stemmed from the recent massive magnitude 7.8 earthquake in Nepal that killed more than 8,000 people and the magnitude 7.2 tremor that shook Bohol and Cebu in 2013 that killed more than 200 people. "There is a need to assess and strengthen the capacities and preparedness of the concerned national government agencies, local government units, and partner stakeholders to mitigate and prepare for, respond to, and recover from the impact of a massive earthquake," Sen. Bam said in Proposed Senate Resolution 1354. With the country's vulnerability to natural disasters, Sen. Bam said the institutionalization of systems, plans, programs and approaches must be prioritized to beef up disaster resilience of local communities, especially in vulnerable areas in the Greater Metro Manila Area (GMMA).